Nature versus Nurture: Even though people may have inherited genes that confer an increased risk of cardiovascular disease that doesn’t mean that there isn’t something that they can do about it. Not smoking, maintaining a normal weight, exercise and healthy eating will reduce that risk. Below is a summary of a study published in the New England of Journal Medicine in December. Amit V. Khera, M.D., Connor A. Emdin, D.Phil., Isabel Drake, Ph.D., Pradeep Natarajan, M.D., Alexander G. Bick, M.D., Ph.D., Nancy R. Cook, Ph.D., Daniel I. Chasman, Ph.D., Usman Baber, M.D., Roxana Mehran, M.D., Daniel J. Rader, M.D., Valentin Fuster, M.D., Ph.D., Eric Boerwinkle, Ph.D., Olle Melander, M.D., Ph.D., Marju Orho-Melander, Ph.D., Paul M Ridker, M.D., and Sekar Kathiresan, M.D. Both genetic and lifestyle factors contribute to an individual-level risk of coronary artery disease. The extent to which increased genetic risk can be offset by a healthy lifestyle is unknown. Using a polygenic score of DNA sequence polymorphisms, we quantified genetic risk for coronary artery disease in three prospective cohorts — 7814 participants in the Atherosclerosis Risk in Communities (ARIC) study, 21,222 in the Women’s Genome Health Study (WGHS), and 22,389 in the Malmö Diet and Cancer Study (MDCS) — and in 4260 participants in the cross-sectional BioImage Study for whom genotype and covariate data were available. We also determined adherence to a healthy lifestyle among the participants using a scoring system consisting of four factors: no current smoking, no obesity, regular physical activity, and a healthy diet. The relative risk of incident coronary events was 91% higher among participants at high genetic risk (top quintile of polygenic scores) than among those at low genetic risk (bottom quintile of polygenic scores) (hazard ratio, 1.91; 95% confidence interval [CI], 1.75 to 2.09). A favorable lifestyle (defined as at least three of the four healthy lifestyle factors) was associated with a substantially lower risk of coronary events than an unfavorable lifestyle (defined as no or only one healthy lifestyle factor), regardless of the genetic risk category. Among participants at high genetic risk, a favorable lifestyle was associated with a 46% lower relative risk of coronary events than an unfavorable lifestyle (hazard ratio, 0.54; 95% CI, 0.47 to 0.63). This finding corresponded to a reduction in the standardized 10-year incidence of coronary events from 10.7% for an unfavorable lifestyle to 5.1% for a favorable lifestyle in ARIC, from 4.6% to 2.0% in WGHS, and from 8.2% to 5.3% in MDCS. In the BioImage Study, a favorable lifestyle was associated with significantly less coronary-artery calcification within each genetic risk category. Across four studies involving 55,685 participants, genetic and lifestyle factors were independently associated with susceptibility to coronary artery disease. Among participants at high genetic risk, a favorable lifestyle was associated with a nearly 50% lower relative risk of coronary artery disease than was an unfavorable lifestyle. (Funded by the National Institutes of Health and others. Words written in italic are directly from Mark L. Thornton, M.D., F.A.C.P. Getting an annual flu vaccine is the first and best way to protect yourself and your family from the flu. Flu vaccination can reduce flu illnesses, doctors’ visits, and missed work and school due to flu, as well as prevent flu-related hospitalizations. The more people who get vaccinated, the more people will be protected from flu, including older people, very young children, pregnant women and people with certain health conditions who are more vulnerable to serious flu complications. This page summarizes information for the 2017-2018 flu season. Four-component vaccines, which protect against a second lineage of B viruses, are recommended to be produced using the same viruses recommended for the trivalent vaccines, as well as a B/Phuket/3073/2013-like (B/Yamagata lineage) virus. We will be giving the Quadrivalent Flu Vaccine this fall. A high dose vaccine will be available for those 65 and over. It is marginally more effective and does not appear to have any greater risk of side effects. If you have a scheduled appointment this fall, we will give it then. Otherwise, you can call to schedule an appointment. The optimal time is late October and early November. Think pumpkins when thinking of the optimal time. It is readily available, so if it is more convenient for you to get it at your pharmacy, work or school, it is fine to get it there. Each year, one in every three adults ages 65 or older falls and 2 million are treated in emergency departments for fall-related injuries. And the risk of falling increases with each decade of life. The long-term consequences of fall injuries, such as hip fractures and traumatic brain injuries (TBI), can impact the health and independence of older adults. Thankfully, falls are not an inevitable part of aging. In fact, many falls can be prevented. Everyone can take actions to protect the older adults they care about. Get some exercise. Lack of exercise can lead to weak legs and this increases the chances of falling. Exercise programs such as Tai Chi can increase strength and improve balance, making falls much less likely. Be mindful of medications. Some medicines—or combinations of medicines—can have side effects such as dizziness or drowsiness. This can make falling more likely. Having a doctor or pharmacist review all medications can help reduce the chance of risky side effects and drug interactions. Keep their vision sharp. Poor vision can make it harder to get around safely. Older adults should have their eyes checked every year and wear glasses or contact lenses with the right prescription strength to ensure they are seeing clearly. 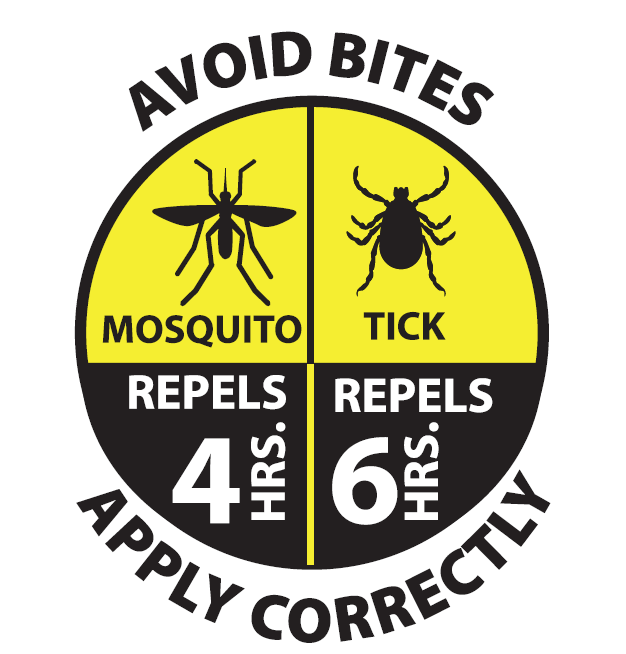 Eliminate hazards at home. About half of all falls happen at home. A home safety check can help identify potential fall hazards that need to be removed or changed, such as tripping hazards, clutter, and poor lighting. Remove things you can trip over (such as papers, books, clothes, and shoes) from stairs and places where you walk. Put grab bars inside and next to the tub or shower and next to your toilet. Improve the lighting in your home. As you get older, you need brighter lights to see well. Hang lightweight curtains or shades to reduce glare. CDC offers various materials and resources for all audiences about older adult falls and what can be done to prevent them. These resources are for the general public, public health officials, and anyone interested in programs that aim to prevent falls. The past 4 weeks with Dr. Thornton was probably one of my favorite rotations of 3rd year. There is an ample amount of diversity in the types of medical problems seen from routine follow ups to vaccinations needed for world travel as well as more chronic conditions. Dr. Thornton’s attentiveness and laid back personality make him a great instructor. He often provided me with articles he found interesting and we had many conversations about medicine and life in general. He really made me feel like I was part of the treatment team. His staff is extremely nice and personable. I feel very fortunate to have had this rotation. According to the World Health Organization (WHO), injuries are among the leading causes of death and disability in the world, and they are the leading cause of preventable death in travelers. Among travelers, data show that injuries are one of the leading causes for consulting a physician, hospitalization, repatriation, and death. Worldwide, injuries are the leading cause of death for young people aged 15–29 years. Estimates have reported that 18%–24% of deaths among travelers in foreign countries are caused by injuries. Infectious diseases accounted for only 2% of deaths to travelers abroad. Contributing to the injury toll while traveling are exposure to unfamiliar and perhaps risky environments, differences in language and communications, less stringent product safety and vehicle standards, unfamiliar rules and regulations, a carefree holiday or vacation spirit leading to more risk-taking behavior, and overreliance on travel and tour operators to protect one’s safety and security. From 2011 through 2013, an estimated 2,466 US citizens died from non-natural causes, such as injuries and violence, while in foreign countries (excluding deaths occurring in the wars in Iraq and Afghanistan). Motor vehicle crashes—not crime or terrorism—are the number 1 killer of healthy US citizens living, working, or traveling in foreign countries. From 2011 through 2013, 621 Americans died in road traffic crashes abroad (25% of all non-natural deaths to US citizens abroad). Another 555 were victims of homicide (23%), 392 committed suicide (16%), and 309 were victims of drowning (13%) (Figure 2-02(http://wwwnc.cdc.gov/travel/yellowbook/2016/the-pre-travel-consultation/injury-prevention#4557)). Other less common but serious injuries are related to natural disasters, aviation accidents, drugs, terrorism, falls, burns, and poisoning. If a traveler is seriously injured, emergency care may not be available or acceptable by US standards. Trauma centers capable of providing optimal care for serious injuries are uncommon outside urban areas in many foreign destinations. Travelers should be aware of the increased risk of certain injuries while traveling or residing abroad, particularly in developing countries, and be prepared to take preventive steps. Globally, an estimated 3,300 people are killed each day, including 720 children, in road traffic crashes involving cars, buses, motorcycles, bicycles, trucks, and pedestrians. Annually, 1.24 million are killed and 20–50 million are injured in traffic crashes—a number likely to double by 2030. Although only 53% of the world’s vehicles are in developing countries, >90% of road traffic casualties occur in these countries. International efforts to combat road deaths command a tiny fraction of the resources deployed to fight diseases such as malaria and tuberculosis, yet the burden of road traffic injuries is comparable. In response to this crisis, in March 2010 the 64th General Assembly of the United Nations described the global road safety crisis as “a major public health problem” and proclaimed 2011–2020 as “The Decade of Action for Road Safety.” On April 19, 2012, the United Nations General Assembly adopted a new resolution (A/66/PV.106) to improve global road safety by implementing plans for the decade, setting ambitious targets, and monitoring global road traffic fatalities. According to Department of State data, road traffic crashes are the leading cause of injury deaths to US citizens while abroad (Figure 2-02(http://wwwnc.cdc.gov/travel/yellowbook/2016/the-pre-travel-consultation/injury-prevention#4557)). Of the 621 US citizens killed in road traffic crashes from 2011 through 2013, approximately 110 (18%) deaths involved motorcycles. Unlike in the United States, in many countries, 2- and 3-wheeled vehicles outnumber cars, and travelers unfamiliar with driving or riding motorcycles may be at higher risk of crashing. Most non-natural American deaths in Thailand and Vietnam, popular travel destinations, were related to motorcycle use. Motorcycle use is also dangerous for travelers in countries where motorcycles are not the primary mode of transportation. The reported rate of motorbike injuries in Bermuda is much higher in tourists than in the local population, and the rate is highest in people aged 50–59 years. Motor vehicle rentals in Bermuda and some other small Caribbean islands are typically limited to motorbikes for tourists, possibly contributing to the higher rates of motorbike injuries. Loss of vehicular control, unfamiliar equipment, and inexperience with motorized 2-wheelers contributed to crashes and injuries, even at speeds <30 miles per hour. Road traffic crashes are common among foreign travelers for a number of reasons: lack of familiarity with the roads, driving on the opposite side of the road, lack of seat belt use, the influence of alcohol, poorly made or maintained vehicles, travel fatigue, poor road surfaces without shoulders, unprotected curves and cliffs, and poor visibility due to lack of adequate lighting. In many developing countries, unsafe roads and vehicles and an inadequate transportation infrastructure contribute to the traffic injury problem. In many of these countries, motor vehicles often share the road with vulnerable road users, such as pedestrians, bicyclists, and motorcycle users. The mix of traffic involving cars, buses, taxis, rickshaws, large trucks, and even animals increases the risk for crashes and injuries. Millions of US citizens travel to Mexico each year, and >150,000 people cross the US–Mexico border daily. Travelers should be particularly cautious in Mexico; from 2011 through 2013, 27% of all deaths of US citizens abroad occurred in that country, where >200 Americans died in road traffic crashes. Strategies to reduce the risk of traffic injury are shown in Table 2-12(http://wwwnc.cdc.gov/travel/yellowbook/2016/the-pre-travel-consultation/injury-prevention#4558). The Association for International Road Travel (www.asirt.org) and Make Roads Safe (www.makeroadssafe.org) have useful safety information for international travelers, including road safety checklists and country-specific driving risks. The Department of State has safety information useful to international travelers, including road safety and security alerts, international driving permits, and travel insurance (www.travel.state.gov). 1Data from US Department of State. Death of US citizens abroad by non-natural causes. Washington, DC: US Department of State; 2014 [cited 2014 March 26]. Available from: http://travel.state.gov/content/travel/english/statistics/deaths.html. 2Excludes deaths of US citizens fighting wars in Afghanistan or Iraq, and deaths that were not reported to the nearest US embassy or consulate. Lack of seat belts and child safety seats Always use safety belts and child safety seats. Rent vehicles with seat belts; when possible, ride in taxis with seat belts and sit in the rear seat; bring child safety seats and booster seats from home for children to ride properly restrained. Driving hazards When possible, avoid driving at night in developing countries; always pay close attention to the correct side of the road when driving in countries that drive on the left. Country-specific driving hazards Check the Association for Safe International Road Travel website for driving hazards or risks by country (www.asirt.org). Motorcycles, motor bikes, and bicycles Always wear helmets (bring a helmet from home, if needed). When possible, avoid driving or riding on motorcycles or motorbikes, including motocycle and motorbike taxis. Traveling overseas is a bad time to learn to drive a motorcycle or motorbike. Alcohol-impaired driving Alcohol increases the risk for all causes of injury. Do not drive after consuming alcohol, and avoid riding with someone who has been drinking. Cellular telephones Do not use a cellular telephone or text while driving. Many countries have enacted laws banning cellular telephone use while driving, and some countries have made using any kind of telephone, including hands-free, illegal while driving. Taxis or hired drivers Ride only in marked taxis, and try to ride in those that have safety belts accessible. Hire drivers familiar with the area. Bus travel Avoid riding in overcrowded, overweight, or top-heavy buses or minivans. Pedestrian hazards Be alert when crossing streets, especially in countries where motorists drive on the left side of the road. Walk with a companion or someone from the host country. Airplane travel Avoid using local, unscheduled aircraft. If possible, fly on larger planes (>30 seats), in good weather, during the daylight hours, and with experienced pilots. Children <2 years should sit in a child safety seat, not on a parent’s lap. Whenever possible, parents should travel with a safety seat for use before, during, and after a plane ride. Drowning Avoid swimming alone or in unfamiliar waters. Wear life jackets while boating or during water recreation activities. Burns In hotels, stay below the sixth floor to maximize the likelihood of being rescued in case of a fire. Bring your own smoke alarm. Drowning accounts for 13% of all deaths of US citizens abroad. Although risk factors have not been clearly defined, these deaths are most likely related to unfamiliarity with local water currents and conditions, inability to swim, and the absence of lifeguards on duty. Rip currents can be especially dangerous, as are sea animals such as urchins, jellyfish, coral, and sea lice. Alcohol also contributes to drowning and boating mishaps. Drowning was the leading cause of injury death to US citizens visiting countries where water recreation is a major activity, such as Fiji, the Bahamas, Jamaica, and Costa Rica. Young men are particularly at risk of head and spinal cord injuries from diving into shallow water, and alcohol is a factor in some cases. Boating can be a hazard, especially if boaters are unfamiliar with the boat, do not know proper boating etiquette or rules for watercraft navigation, or are new to the water environment in a foreign country. From 2011 through 2013, maritime accidents accounted for 8% of deaths to healthy Americans abroad. Many boating fatalities result from inexperience or failure to wear lifejackets. Scuba diving is a frequent pursuit of travelers in coastal destinations. The death rate among all divers worldwide is thought to be 15–20 deaths per 100,000 divers per year. Travelers should either be experienced divers or dive with a reliable dive shop and instructors. See the Scuba Diving(http://wwwnc.cdc.gov/travel/yellowbook/2016/the-pre-travel-consultation/scuba-diving) section later in this chapter for a more detailed discussion about diving risks and preventive measures. 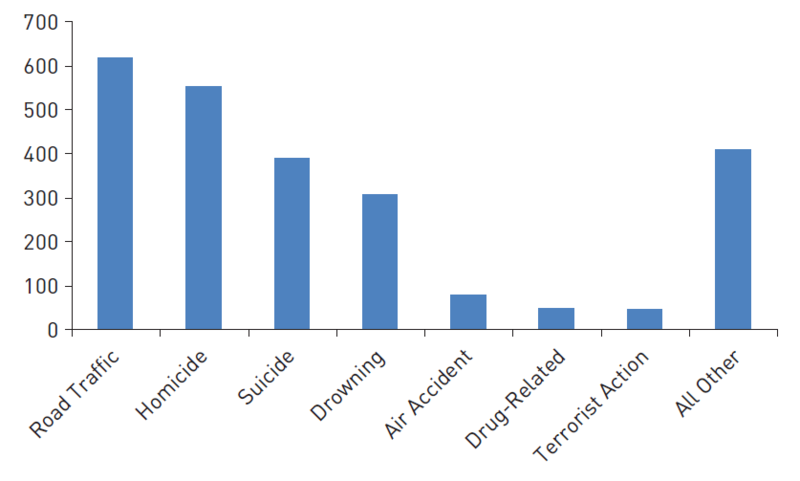 From 2011 through 2013, aviation incidents, drug-related incidents, and deaths classified as “other unintentional injuries” accounted for 22% of deaths to healthy US citizens abroad (Figure 2-02(http://wwwnc.cdc.gov/travel/yellowbook/2016/the-pre-travel-consultation/injury-prevention#4557)). Fires can be a substantial risk in developing countries where building codes do not exist or are not enforced, there are no smoke alarms, there is no access to emergency services, and the fire department’s focus is on putting out fires rather than on fire prevention or victim rescue. Travel by local, lightweight aircraft in many countries can be risky. From 2011 through 2013, an estimated 82 US citizens abroad were killed in aircraft crashes. Travel on unscheduled flights, in small aircraft, at night, in inclement weather, and with inexperienced pilots carries the highest risk. Before flying with children, parents and caregivers should check to make sure that their child restraint system is approved for use on an aircraft. This approval should be printed on the system’s information label or on the device itself. The Federal Aviation Administration (FAA) recommends that a child weighing <20 lb use a rear-facing child restraint system. A forward-facing child safety seat should be used for children weighing 20–40 lb. FAA has also approved a harness-type device for children weighing 22–44 lb. Purchasing special travel health and medical evacuation insurance if their destinations include countries where there may not be access to good medical care (see the Travel Insurance, Travel Health Insurance, & Medical Evacuation Insurance section later in this chapter). Because trauma care is poor in many countries, victims of injuries and violence can die before reaching a hospital, and there may be no coordinated ambulance service available. In remote areas, medical assistance and modern drugs may be unavailable, and travel to the nearest medical facility can take a long time. Adventure activities, such as mountain climbing, skydiving, whitewater rafting, dune-buggying, and kayaking, are popular with travelers. The lack of rapid emergency trauma response, inadequate trauma care in remote locations, and sudden, unexpected weather changes that compromise safety and hamper rescue efforts can delay access to care. Travelers should avoid using local, unscheduled, small aircraft. If available, choose larger aircraft (>30 seats), as they are more likely to have undergone more strict and regular safety inspections. Larger aircraft also provide more protection in the event of a crash. For country-specific airline crash events, see airsafe.com. When traveling by air with young children, consider bringing a child safety seat approved for use on an aircraft. To prevent fire-related injuries, travelers should select accommodations no higher than the sixth floor. (Fire ladders generally cannot reach higher than the sixth floor.) Hotels should be checked for smoke alarms and preferably sprinkler systems. Travelers may want to bring their own smoke alarm. Two escape routes from buildings should always be identified. Crawling low under smoke and covering one’s mouth with a wet cloth are helpful in escaping a fire. Families should agree on a meeting place outside the building in case a fire erupts. Improperly vented heating devices may cause poisoning from carbon monoxide. Carbon monoxide at the back of boats near the engine can be especially dangerous. Travelers may want to carry a personal detector that can sound an alert in the presence of this lethal gas. Travelers should consider learning basic first aid and CPR before travel overseas with another person. Travelers should bring a travel health kit, which should be customized to the anticipated itinerary and activities (see the Travel Health Kits section later in this chapter). Suicide is the third-leading cause of injury death to US citizens abroad, accounting for 16% of non-natural deaths. For longer-term travelers (such as missionaries and volunteers), social isolation and substance abuse, particularly while living in areas of poverty and rigid gender roles, may increase the risk of depression and suicide. See the Mental Health(http://wwwnc.cdc.gov/travel/yellowbook/2016/the-pre-travel-consultation/mental-health) section later in this chapter for more detailed information. Ball DJ, Machin N. Foreign travel and the risk of harm. Int J Inj Contr Saf Promot. 2006 Jun;13(2):107–15. Cortes LM, Hargarten SW, Hennes HM. Recommendations for water safety and drowning prevention for travelers. J Travel Med. 2006 Jan–Feb;13(1):21–34. FIA Foundation for the Automobile and Society. Make roads safe report: a decade of action for road safety. FIA Foundation for the Automobile and Society; 2009 [cited 2014 Aug 8]. Available from: http://www.fiafoundation.org/connect/publications. Guse CE, Cortes LM, Hargarten SW, Hennes HM. Fatal injuries of US citizens abroad. J Travel Med. 2007 Sep–Oct;14(5):279–87. Krug EG, Mercy JA, Dahlberg LL, Zwi AB. The world report on violence and health. Lancet. 2002 Oct 5;360(9339):1083–8. Lawson CJ, Dykewicz CA, Molinari NA, Lipman H, Alvarado-Ramy F. Deaths in international travelers arriving in the United States, July 1, 2005 to June 30, 2008. J Travel Med. 2012 Mar–Apr;19(2):96–103. Leggat PA, Fischer PR. Accidents and repatriation. Travel Med Infect Dis. 2006 May–Jul;4(3–4):135–46. McInnes RJ, Williamson LM, Morrison A. Unintentional injury during foreign travel: a review. J Travel Med. 2002 Nov–Dec;9(6):297–307. Sleet DA, Balaban V. Travel medicine: preventing injuries to children. Am J Lifestyle Med. 2013 Mar 10;7(2):121–9. World Health Organization. WHO global status report on road safety 2013: supporting a decade of action Geneva: World Health Organization; 2013 [cited 2014 Sep 19]. Available from: http://www.who.int/violence_injury_prevention/road_safety_status/2013/en/.